Welcome to Bayless Elementary! It's a great time to be a Broncho! ​This is a very exciting time for our school. 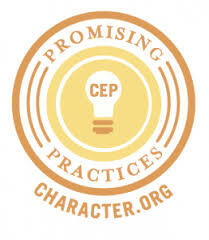 We are proud to be a National and Missouri School of Character. Visit Mr. Kohler's page to read his welcome message. Bayless welcomes the Class of 2032. Students must be five years old before August 1, 2019. Bayless offers a full day, tuition-free kindergarten program. The registration process and dates can be found HERE. Grades 1-5 should also register HERE. Bayless Elementary is a 2016 National School of Character. Bayless High School and Bayless Junior High were named National Schools of Character in 2014. Bayless School District is also a 2016 National District of Character.